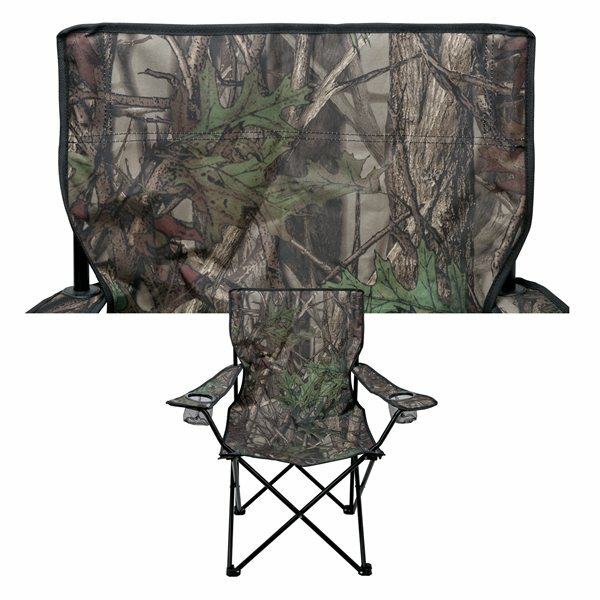 This camo folding chair has a steel tubing frame and is made from durable 600D polyester. It features arm rests, two mesh cup holders and includes a drawstring carrying case. Maximum suggested weight is 300 lbs. Finish / Material: 600D Poly, Steel. Loved the product, loved the logo. looks great, prints very good, price is fine the imprint on this item is readable and it stands out from a large distance. the product was exactly as we ordered it. Great! Affordable and top quality for that cost! The printing was very clear. The quality was great however it was still being very economical. An excellent cost with this product.